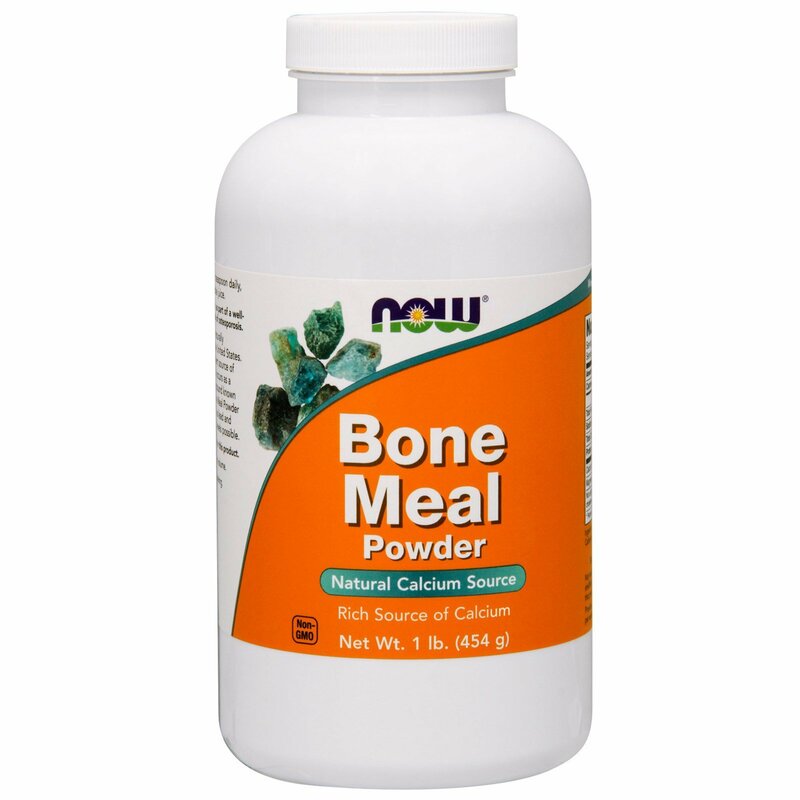 NOW Bone Meal Powder is naturally derived from cattle raised in the United States. Bone Meal Powder is an excellent source of Calcium. Calcium in bone meal occurs as a natural calcium phosphate compound known as hydroxyapatite. NOW® Bone Meal Powder is tested for heavy metals such as lead and aluminum to assure the lowest levels possible. 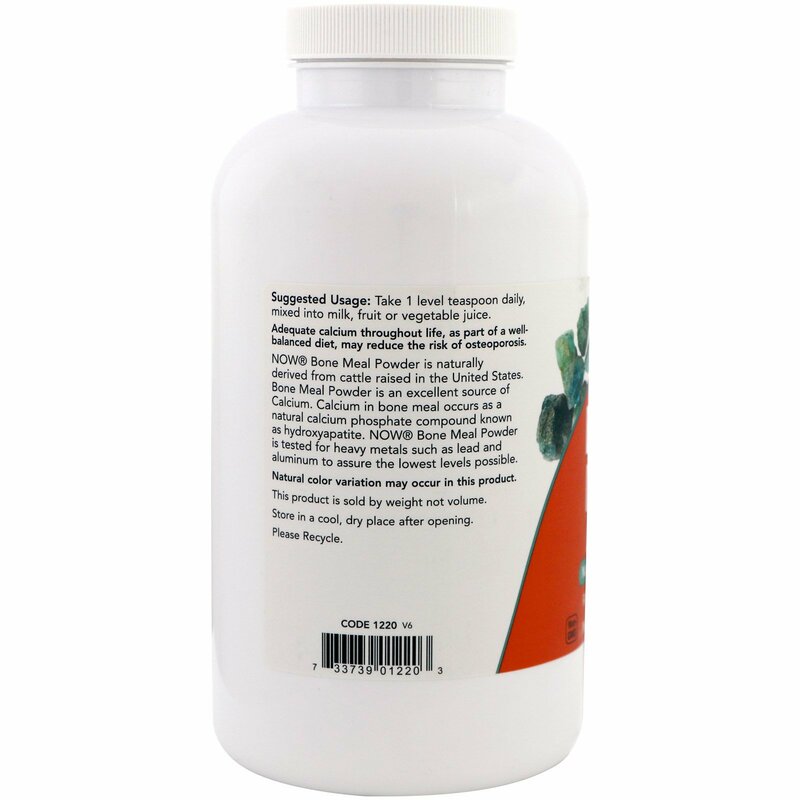 Take 1 level teaspoon daily, mixed into milk, fruit or vegetable juice.